The General of the Mongauli army, the enemies of Parros. She's obsessed with capturing Guin. She has found a way to bridge the Kes river and travel into Nospherus, the no-man's land of the Sem. 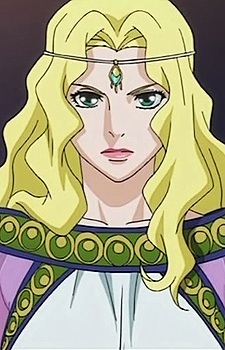 Considered one of the most beautiful women in the land with her golden hair and green eyes.